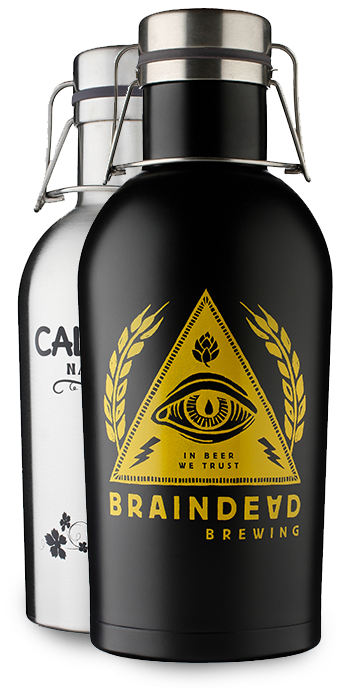 The Original and World’s 1st Stainless Steel Threadless Flip Top Growlers. 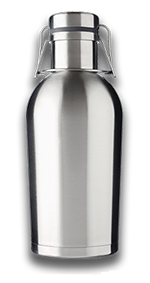 1 Liter/32 oz and 2 Liter/64 oz sizes available. Keep your precious cargo in lock down mode! Double wall-vacuum packed version, with 304 stainless steel interior keeps your contents hot or cold for hours & hours. Our single layer 304 SS models are super light & compact. 304 stainless steel is the same, exact material used by the brewing industry for their tanks. 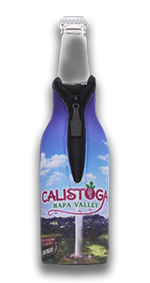 Our in-house printing service offers decoration of our bottles (min 24) with state of the art Prop 65 inks. We can custom engrave your logos or theme (min 144). 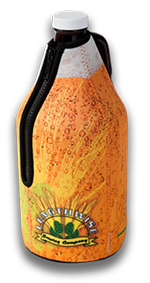 We can also design a bottle just for you and offer full color water slide deco. We were the first to design, manufacture and distribute our designs 6 years ago. We’d love to be part of your line up. 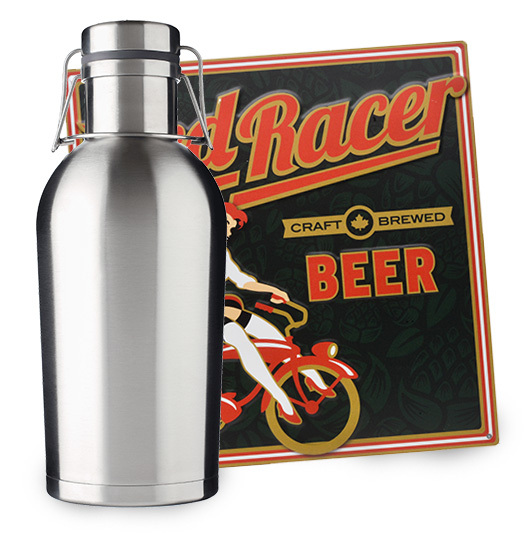 We love beer, and your customers will love our stainless steel growlers. Do not store hot liquids in single walled growlers and release lid slowly on double walled bottles when storing hot liquids to avoid spray.